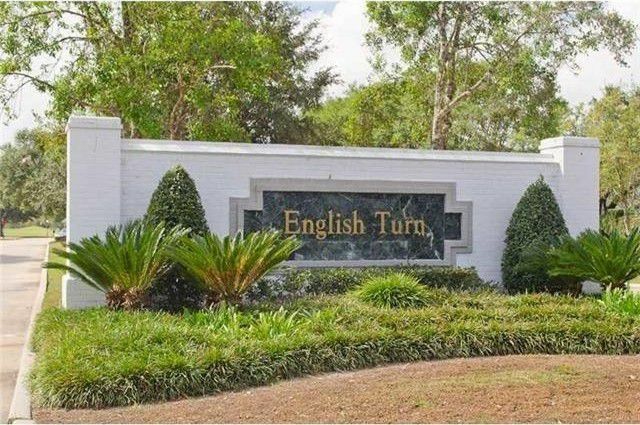 Adjacent to both Belle Chasse and Algiers, English Turn is a 650-acre private gated golf course planned community with 24/7 manned security. Between the surrounding woodlands and the 26+ acres of community parks, English Turn provides the perfect refuge from today’s busy lifestyles and an escape to the beauty of mother nature. Central to the breathtaking beauty of the neighborhood is a championship golf course with fully equipped country club facilities including multiple dining venues, fitness center, pool, and tennis courts. There are also walking/jogging trails, basketball courts, baseball fields, and a butterfly garden. English Turn is a welcoming community, and social events such as evening bike rides on the golf course, costume parties, summer camp for children, friendly Fridays at the Community Club, Lower Coast Wine Festival, Garden Club, and tennis lessons are enjoyed by residents. English Turn is also just 8 miles from the French Quarter and the Central Business District, so it provides an easy commute for its residents who principally work in the downtown area. With over 450 private residences, there is a wide variety of custom homes, built by some of New Orleans’ most talented home builders.